JOHANNESBURG: The provincial legs of the 2017 Lilizela Tourism Awards wrapped up at the end of September with the crowning of dozens of esteemed tourism products and services in the country’s nine provinces in categories such as visitor experience, tour operators and tour guides, accommodation and entrepreneurship. It is now all systems go for fifth edition of the national Lilizela Tourism Awards ceremony which will take place at the Sandton Convention Centre in Johannesburg on 29 October 2017, organised by South African Tourism. The National Minister of Tourism, Tokozile Xasa, will lead the toast to service excellence while honouring the “best of the best” among business owners, contractors and professionals working in the South African tourism and hospitality industry. 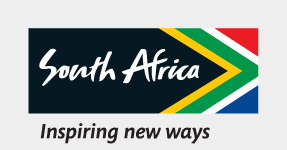 “Not only do all these incredible industry leaders do a sterling job in contributing towards making South Africa a competitive tourism destination, they also contribute to the We Do Tourism initiative, which is an inspiring movement that encourages all South Africans to actively play a role in tourism,” says Minister Xasa. Over 500 finalists were selected nationwide from more than 1 600 entries, after which provincial winners in the various categories were named to compete in the national finals. Of the total vote, 80% came from members of the public as well as travel platforms such as TripAdvisor and TGCSA’s Tourism Analytics Programme. The remaining 20% was a score from a panel of high-level judges, whose voting was conducted under the strict supervision of Grant Thornton to ensure compliance. “Based upon the work performed and the results obtained, we can conclude that the judging process of the 2017 Lilizela Tourism Awards was fair and transparent,” confirmed Oupa Mbokodo, Director at Grant Thornton. One of the most exciting categories of Lilizela Tourism Awards is the Emerging Young Entrepreneur of the Year Award (EYETA), which seeks to recognise and motivate black entrepreneurs who operate small, micro and medium tourism- or hospitality-related businesses. Minister of Tourism, Tokozile Xasa, explains the significance of this category tailored specifically for SMMEs: “South African Tourism is committed to partnering with established players in the industry to help achieve inclusive growth while aiding new players to grow. Ecotourism in the township at its best - that is what is in store for guests at The Workshop ko Kasi, in Kuruman. Built from recycled and natural materials such as pallets, soil, stones, rocks, grass and old tyres, this township café promises the best of local flavours. The venue also offers an African spa, cultural tours on donkey carts, and occasional events such as pop-up markets, poetry and storytelling sessions. An authentic, raw African township experience is what awaits visitors at The Workshop ko Kasi. For more information, contact Mpho Cornelius on 081 289 2662. Experience Mdantsane's finest luxury lounge bar and restaurant, where every element has been carefully selected to be at the forefront of contemporary design and style. During the day, Mthombo’s Place provides an intimate and relaxed eating space in the luxurious Restro Lounge Bar. In the evening, it is transformed into a lounge bar where glamorous crowds can enjoy chilled drinks and soul music at either the main bar or in any of the three private lounges. For more information, contact Mthombo Nkula on 076 948 6934. The Lilizela Tourism Awards is an initiative of the National Department of Tourism and is spearheaded by South African Tourism aimed at recognising and rewarding the highest levels of excellence in the tourism value chain. For more information, please visit www.southafrica.net or www.lilizela.co.za, or like the Lilizela Tourism Awards Facebook page or follow @Lilizela_Awards on Twitter for regular updates.